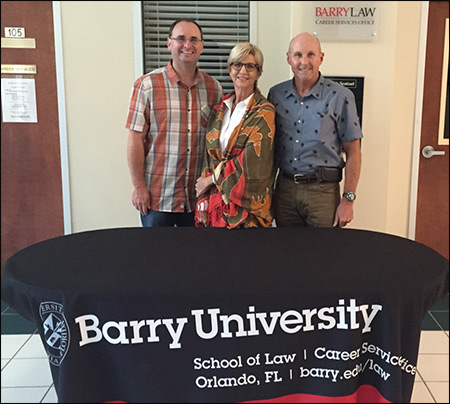 Attorneys Paul Rice, Phil Bonamo and Elizabeth King recently completed a two-day training in Interdisciplinary Collaborative Family Law at Barry University School of Law in Orlando. The seminar covered all aspects of using a team model concept to reach a resolution in divorce cases. The method involves the aid of neutral third party experts in the financial and mental health field, in conjunction with the parties’ attorneys to reach an agreement without contested court proceedings. The move toward Collaborative Law is gaining momentum on the local, national and international levels. The Rice & Rose family law group plans to offer the collaborative option to our clients in the coming months. If you’re considering a divorce or need assistance with any family law issues, please ask us about the collaborative law process.